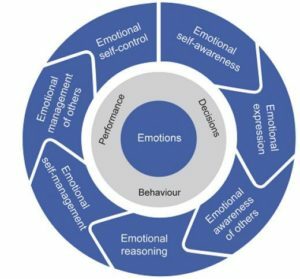 Emotional Self-Awareness is the capacity to tune into your own feelings, sense inner signals, and recognize how your feelings affect you and your performance. Daniel Goleman, a science journalist, Ellen Langer, professor of psychology at Harvard University, Susan David, the founder and co-director of the Institute of Coaching at McLean Hospital of Harvard Medical School and an Instructor in Psychology at Harvard University and Christina Congleton, one of the Harvard review’s author who focused on emotional intelligence and mindfulness. We will go through the different types of mindfulness and help you understand and sense your feelings, as it plays a big role in finding love. Mindfulness is the process of actively noticing new things. When you do that, it puts you in the present, it can make you more sensitive to context and perspective, it is energy-begetting, not energy consuming. The mistake most people make is to assume all this thinking is stressful and exhausting, when in reality what is stressful is all the mindless negative evaluations we make and the worry that we will find problems and not be able to solve them. Being mindful has many advantages, it is easier to pay attention, you remember more of what you have done, you are more creative, you are able to take advantage of opportunities when they present themselves, you also avert the danger not yet arisen, you like people better, people also like you better and you are more charismatic. The average amount of words we speak each day is sixteen thousand, imagine how many unspoken ones course through our minds, if they were all positive and helpful it would be great, but many words are negative. It is inevitable as all human being have an inner stream of thoughts and feelings that include criticism, doubt, and fear. These undesirable feelings and thoughts are not the issue, the danger is when people buy into them and treat them like facts “It was the same in my previous relationship…it’s not going to work”, ‘’I am not sure she likes me as much as I do’’, ‘’I am not good enough’’ and so on. You should challenge the existence of such thoughts and always try and rationalize them away. ‘’This is not the same relationship, nor the same person, it can work’’, ‘’If this person is dating me it’s because they like me, so actually I am good enough for them, otherwise they wouldn’t be seeing me’’. Many people who are seeking a partner tend to forget the most important criteria only mindfulness can raise. When meeting someone new or getting introduced by a matchmaker. -We suggest you begin reviewing your values and be honest with yourself. If you are flexible on values that you strongly care about, it will one day or another bother you and frustrate the two of you. Which can lead the relationship to failure. -Most people tend to focus on the qualities of others, but forget that it is equally important to have traits and qualities that are desirable to the other person. You might change some of your personality traits to please someone, which is fine if you are happy with the change yourself, but if you only do it for the other person you will never be happy and your partner will sense it. This can also lead to failure. Creating a healthy relationship is a power you hold, you just need to know it. If you are looking to create a harmonious relationship you need to practice constant self-observation. Be mindful to bring your words, thoughts and actions into alignment with what you want to create. We hope this article will encourage you to love yourself, understand yourself better and stick to your values as it is the best way to finding a partner who will make you happy and vice-versa.